At his dental office in Solon, Dr. Michael Salkovitch works with patients to improve the beauty, health, and strength of their smile. For those who wish to update their aesthetics, Dr. Salkovitch provides a variety of cosmetic solutions designed to craft the smile they’ve always wanted. Whether you have misshapen, damaged, or missing teeth, our practice features treatment plans that will leave you smiling confidently. To schedule your appointment for cosmetic dentistry in Solon, call the office of Dr. Salkovitch today! Teeth Whitening – If your teeth have been stained by dark drinks or simply become discolored by time and wear, you can take advantage of teeth whitening options that will lift stains and brighten the shade of your smile. We offer in-office Zoom! and Sapphire Whitening treatments for patients who need a brighter smile during a single appointment, as well as take-home Opalescence kits that will allow you to apply treatment at your leisure. Porcelain Veneers – Veneers offer an interesting alternative to treatments such as orthodontics and outright replacement. These thin layers of porcelain are directly applied to damaged, misshapen, or undersized teeth. This is also an ideal treatment for patients with intrinsically stained teeth, as normal whitening measures cannot mask permanent discolorations. Porcelain veneers can also address gaps in your smile, which would normally need to be treated with braces. Composite Fillings and Ceramic Crowns – For patients who’ve been treated for decay, these tooth-colored fillings reinforce the structure of your tooth while allowing it to blend in with the rest of your smile. For teeth with more extensive damage (for example, post-root canal treatment), our ceramic crowns allow you to both function and smile normally. Dental Implants and Restorations – Dr. Salkovitch works with local specialists who place dental implants. These titanium posts effectively replace original roots and serve as the foundation for beautiful porcelain restorations, including crowns and fixed bridges. 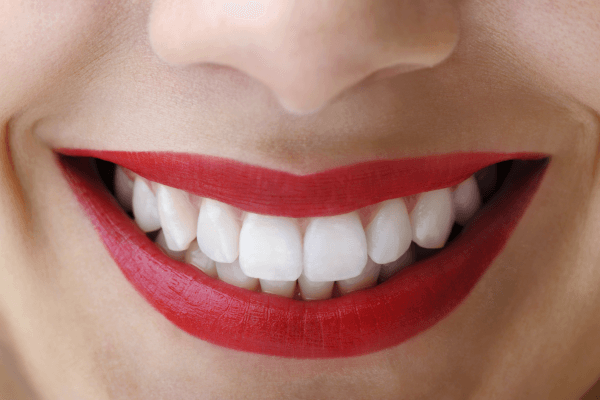 Porcelain is an ideal material for cosmetic dentistry, as it resembles natural teeth and is highly stain-resistant. Dr. Salkovitch and his team believe that every patient deserves a smile they enjoy sharing with the world. If you’re in need of aesthetic or restorative smile work, call our office in Solon today to schedule your appointment!